Anyway, have you guys Meme yet? "Meme it like you Mean it" is a social campaign to further build upon the "Be a Satellite Star" campaign which i mentioned previously to identify the prevailing use of social media by youths. Its aims to be creative and have fun with a serious of memes that are about Having fun with Colour and showcasing a Reflection of you. Among the memes, here's one of my fav. Check out more hip memes at Meme it like you Mean it FB album. Meme it now to join in the Meme museum. Creative much! 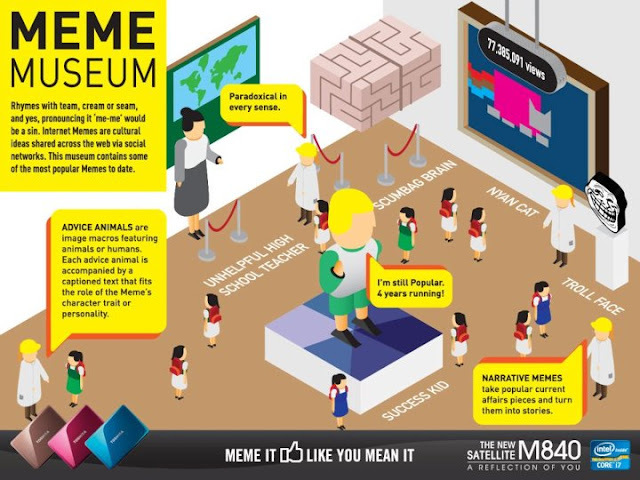 Through "Meme it like you Mean it" campaign, Toshiba want to create and inspire the fun culture sharing and global participation. 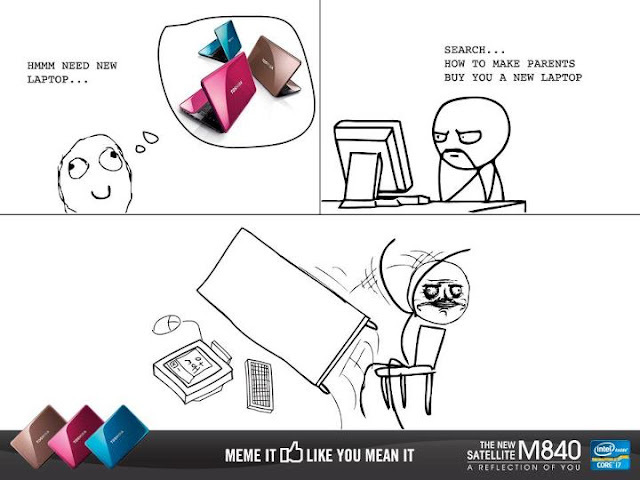 With underlying theme of having fun with colours which coincides with the colourful laptop series of the Satellite M840, a Meme culture that aims to become synonymous with youths of this region can be nurtured. This post is brought to you by Toshiba and Intel®. For more infor about Toshiba Satellite M840 or Meme like it you Mean it campaign, join the conversation at their FB page, www.facebook.com/ToshibaNotebookPc.